Earlier this year, flying home to Washington, D.C., from Dublin, I opened Fergal Keane’s Wounds: a memoir of war and love, about the struggles of life and death in North Kerry, primarily in the 19th and early 20th century. 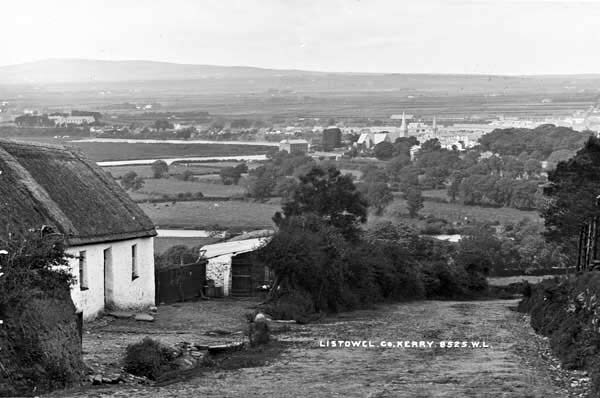 Somewhere over the Atlantic, and on page 74 of the book, I was gobsmacked to read a short passage about the summer 1888 murder of John Foran, a Kerry farmer shot in front of his young son and other witnesses on the road near Listowel. It was the first time I had seen a contemporary reference to the 130-year-old murder since I began writing about the case a decade ago. In addition to period newspaper accounts, Keane references Bertha Beatty’s (nee Creagh) 1930s Kerry Memories, which contains her claim of seeing some “serious”-looking men talking at the crossroads hours before the fatal shots occurred at the site. I was not familiar with this source. Keane, Africa editor for BBC News, has family ties to North Kerry through his father. Historian Diarmaid Ferriter reviewed Wounds in The Irish Times shortly after it was published last September. My full version of the story, about 12,000 words. Shorter version published in The Irish Story in 2016. Timeline notes, includes hyperlinks, sources, etc. I am always looking for new information on sources or references to this crime, whether historic or contemporary. I am convinced there is more to learn about the case, including through the still publicly unavailable Irish Land Commission records, which date to 1881. Thanks to Kay Caball of My Kerry Ancestors for her assistance on the Beatty book and other help over the years. This entry was posted in Business & Environment, History, Irish America, Journalism and tagged County Kerry, John Foran on August 5, 2018 by admin.